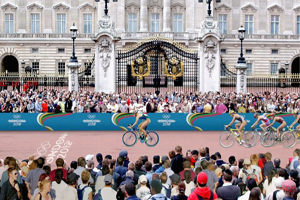 Almost 70% of business leaders in sport rank London as the world's best major events destination for providing return on investment, according to a report by IFM Sports Marketing Surveys. IMF interviewed more than 100 executives, the majority of whom ranked the UK capital more attractive than Sydney, Paris and New York. The majority of respondents (84%) cited the presence of global commercial partners and the associated media platform as London’s key selling points. Almost 70% of respondents ranked London’s venues as the highest quality and 58% suggested London is the best gateway to new markets. London Mayor Boris Johnson, who revealed the survey results at the Sport Accord convention taking place at Park Plaza, Westminster Bridge this week, said: "London is rich in sporting heritage and is a natural backdrop for successful, profitable international sports events. It already boasts some of the world's most iconic sports arenas and our new state of the art 2012 sports venues are steadily being delivered ahead of schedule. The best Games legacy for London would be to welcome many more major events to our capital and this research shows we are right to have such confidence." The IFM Sports Marketing Survey was commissioned by London & Partners.